Sony Xperia X Compact expected price in India is ₹38,999. Sony took the prestigious IFA 2106 stage to launch the compact version of Xperia X alongside the Xperia XZ which is the new flag bearer. 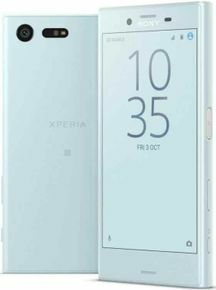 Sony expanded the sphere of compact handsets with Xperia X Compact that resembles Xperia X (almost) in and out. It employs the same hexacore Snapdragon 610 SoC mated with Adreno 510, 3GB RAM and 32GB Internal Storage. Sony uses a 2,700 mAh battery to power the handset. Trying to fit in all that hardware in a compact casing makes it a bit thick. It measures 9.5 mm around the waist and is just 4.6-inch tall. It doesn't follow the ongoing trend of metal casings and settles for a top-notch quality plastic body instead that which makes it light. The fingerprint scanner is embedded underneath the power button and a manual shutter control is also placed on the side frame. The 4.6-inch (720 x 1280) display looks promising as it uses triluminous technology which is actually adopted from Bravia TVs (one of their limbs). Well, if you bother too much about details, the triluminous technology renders more depth to colors and moreover, it employs X-Reality image processing engine that reproduces lost pixels to add clarity. On the optics front, it packs a 23 MP (f/2.0 aperture) rear shooter with LED flash and a 5 MP Selfie shooter. The Sony IMX300 sensor doesn't support 4K video recording. The handset boots Android 6.0.1 (Marshmallow) out-of-the-box. Connectivity options and other basic features include Wi-Fi 802.11 a/b/g/n/ac, Bluetooth v4.2, A-GPS, NFC, FM radio and USB type-C. The phone offers three color options- White, Universe Black and Mist Blue. Sony Xperia X Compact price in India has not been disclosed yet. The handset is expected to arrive in the global market by the end of September 2016. Bit of lag when editing pictures or taking low-light photos.